This interactive presentation contains the latest oil & gas production data from 19,876 horizontal wells in the Eagle Ford region (TRRC districts 1-4), that started producing since 2010, through November 2017. 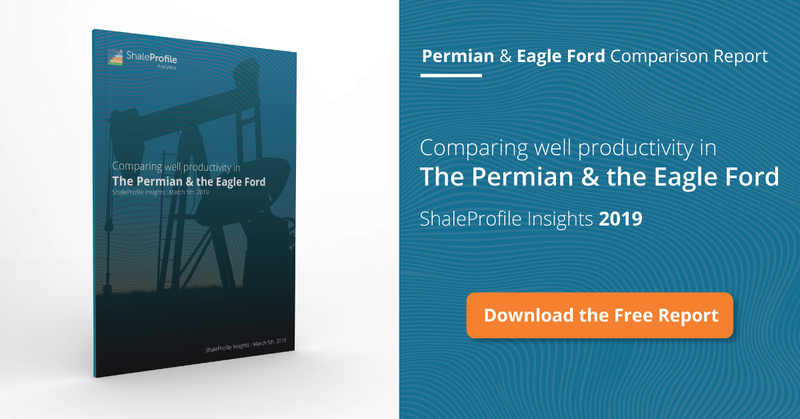 Unlike the Permian in the west of Texas, the Eagle Ford has not shown much growth in oil production in 2017. Although the above graph shows November at a lower level than at the start of the year, I expect that once revisions are in, it will be roughly equal. An important reason for this difference is that well productivity here hasn’t increased significantly in the past 3 years, as can be seen in the ‘Well quality’ tab (which you can compare with my last last post on the Permian). Of the leading operators, EOG has kept production rather steady since early 2015, while Devon is down by 75% in the same period, mostly due to natural decline (see the ‘Top operators’ overview). Also here, despite somewhat higher initial performance, the lack of clearly better longer term results in oil recovery for newer wells is visible. Natural gas production is better though, as you will see if you switch ‘Product’ to gas. In the 2nd tab (‘Cumulative production ranking’) you can find all counties in the Eagle Ford region, ranked by the cumulative gas production from horizontal wells since 2010. It shows that Webb is by far the most prolific county, with more than double the gas production compared with the number 2 (DeWitt county). Next week I plan to have a post on all 10 covered states in the US, and another on the latest production numbers from North Dakota. Why Sanchez’s oil and gas production are all so low. sorry, should checked under SN, not Sanchez.